Stitch Crazy: Thoughts on Goal lists and other crazy things. Thoughts on Goal lists and other crazy things. Why do we make goal lists? Why? I look at my goal list (especially since we are halfway through the year), and I feel like a big fat failure as I'm getting so little done on the projects I listed for this year. On the other hand....I'm doing a lot of extras and I'm happy with my completed projects list. I'm battling this right now, because several on my goal list are currently in rotation and right now, I have absolutely 0 interest in my rotation. 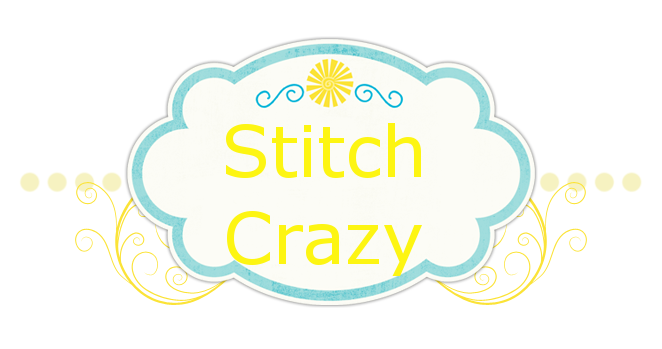 I want to stitch something else!! I'm so mixed on the goal list. 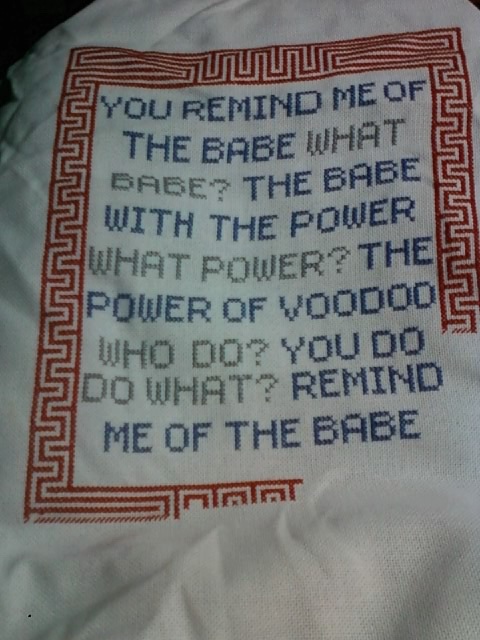 This is from the movie Labyrinth and is for the hubby. I also have the Marvel comics alphabet he wants so bad. 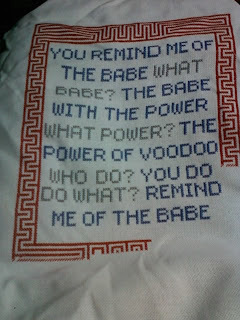 I ran out of thread for this one last night. I started looking through patterns thinking I wanted to do some fall ones. Wouldn't you know every dang one I tried to kit up is missing at least 1 thread color? So now I've made working patterns of some of my pink ribbon patterns and am considering trying to kit those up. I would really like to do some pink ribbon stitching and scarves to donate to next years Bike Run. I would also like to do some to donate to the Epilepsy Foundation. On the Ty front, we got his certificate and are working on the driving experience. He's got the feel of the 'burban now. Today we need to focus on vehicle control. His dang size 14 foot has a tendency to slip and hit the gas when he means to hit the brakes, he doesn't have a good feel for accelerating yet, but we've not been on roads where he can get that feel either. He needs to gain more control in turns and just overall build his control of the vehicle before I take him on a busy road. It's all about time and confidence. I FINALLY saw an upswing in his driving confidence yesterday. That was so exciting and good to see. I realized when we were talking, he's trying to be the tough, stoic guy and not admitting fear. When in truth he is scared of driving and has 0 confidence in himself. Some of it is because of his wreck. That really, really shook him up. Understandable! But the other part, is his epilepsy. Last year proved to us that it can come back even if you've been seizure free for a year or more. We're 8 months in now. But ALWAYS in the back of his mind is, Is this the day I have another seizure. Now adding driving it is compounded with "what if I have one while driving". Going through this with him has really opened my mind to the struggles of an epileptic person. I'm so thankful that we do gain so much control with his meds as I know there are many out there that the best control they can get is down to a few seizures a day. Our goal right now is to keep prodding Ty and have a lot of positive interactions with him and try and set him up for successes so that confidence can build. sending you big hugs..sweet stitches. Your doing a great job mom! On the stitchy side start something new you deserve it! Seriously..June 15th was my last post?